Los Angeles' Small Forward create breezy indie pop that's both soothing and gentle, heavy on mood and expansive textures. There are retro psych sensibilities in the band's use of harmony and their pinches of reverb, but the band's sophomore album, Affections, is resolutely modern in it's production and sonic detail. Due out October 27th via Forged Artifacts, the record is filled with nuance and crooning melodies, blending together fuzzy folk and jangly pop with a natural patience. "6th Ave," the record's second single, has an air of romance, getting sweeter with every passing sentiment. The band work together in tight harmony, adopting a sleek progressive flourish as the rhythm gently grooves together with the shimmering guitars. The warm melodic phrasing drifts like clouds passing over a sweltering day, constantly moving, constantly evolving, but in rush to get anywhere. While the band stay evenly keeled throughout the voyage, the passion spikes toward the final minute, a spark or twinkle of Small Forward's eye that's impossible to ignore. 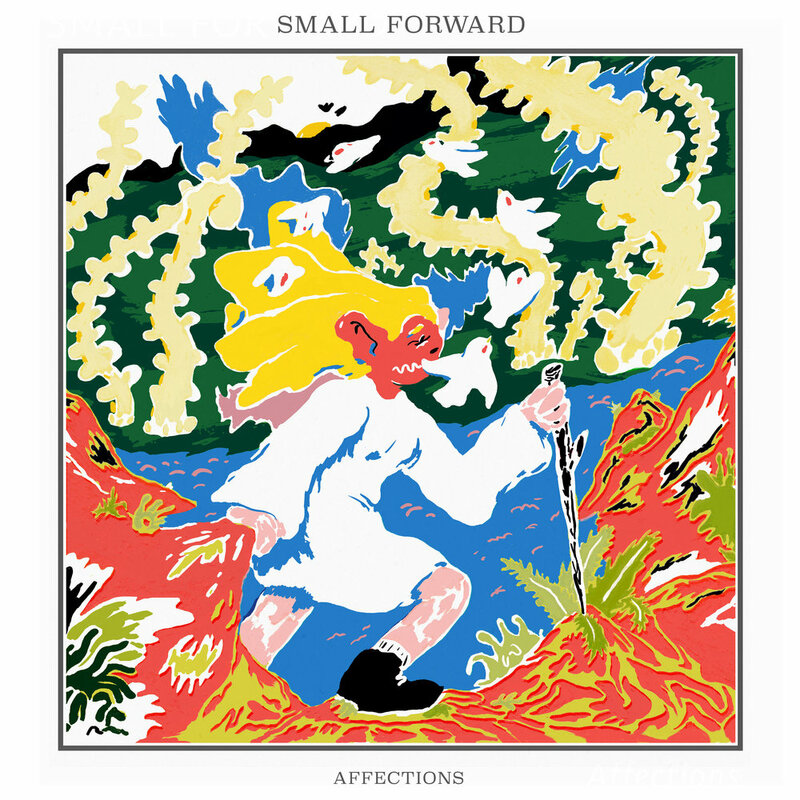 Small Forward's Affections is out October 27th via Forged Artifacts.